Well, it's finally here. As I write this, it is May 23, 2012, the third anniversary of this part of the trip. I'm going to try to keep the captions coming as close to this rolling third anniversary as possible. 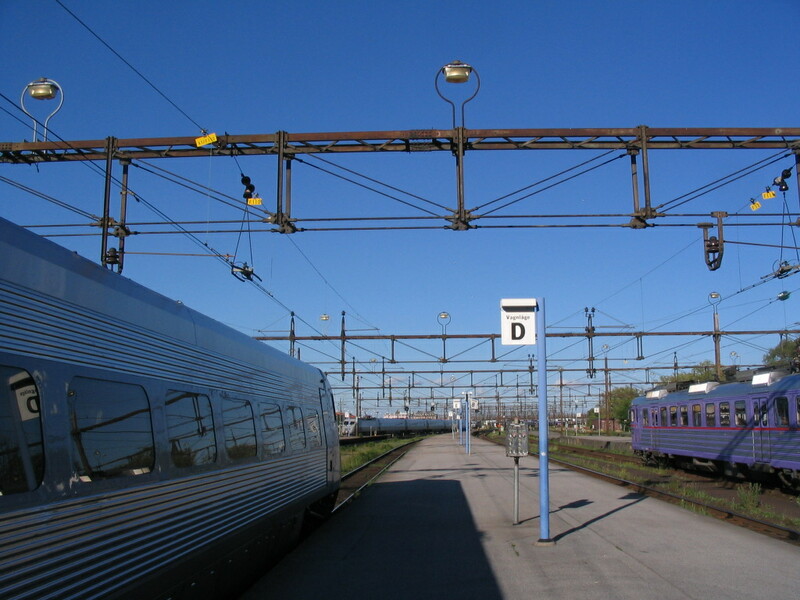 Anyway: at Malmö I had only three hours or so in the late afternoon and civil twilight to explore, so I didn't stray terribly far from the station. 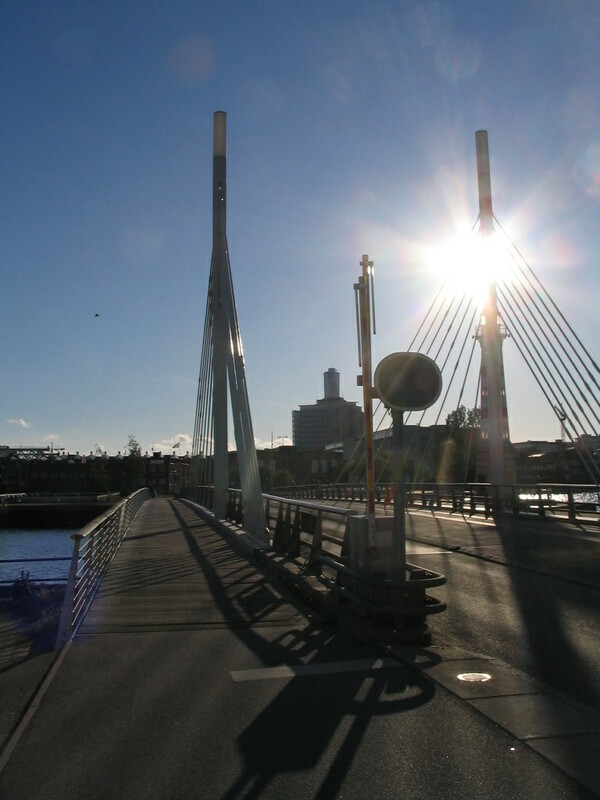 Stepping out of the train to an infinite recession of catenary and supports. 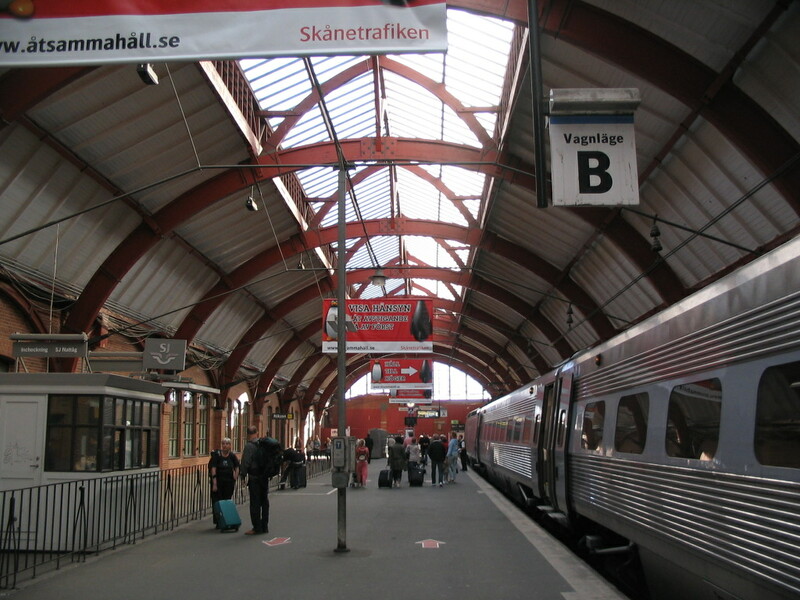 Inside a train shed of the Malmö Centralstation, with a nice 1876-vintage structural-rationalist flair. 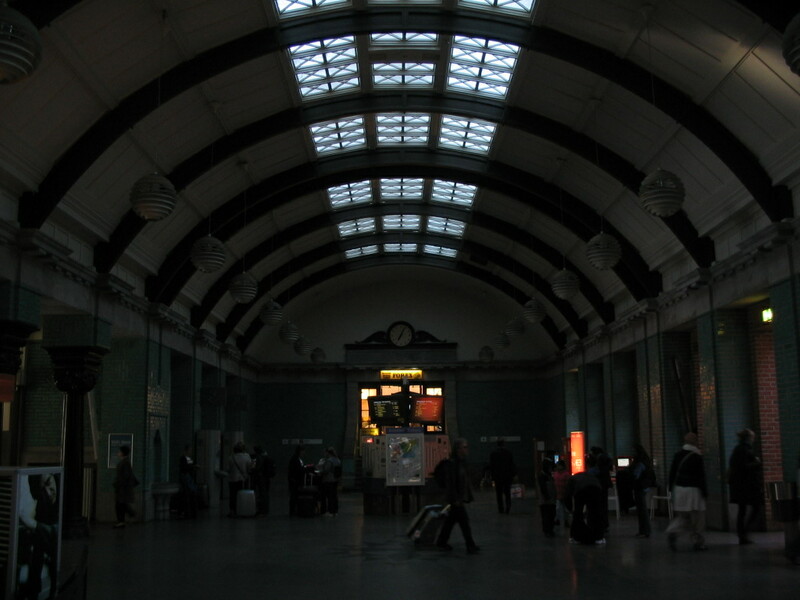 An underexposed view of the main hall of the station, which appears to have a similar cross-section to the train sheds despite being perpendicular to them. 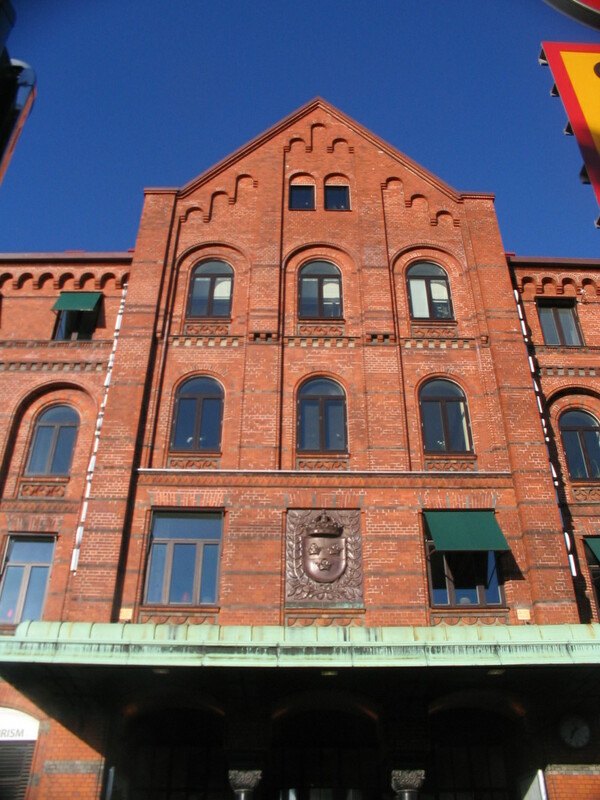 The front of the Centralstation. 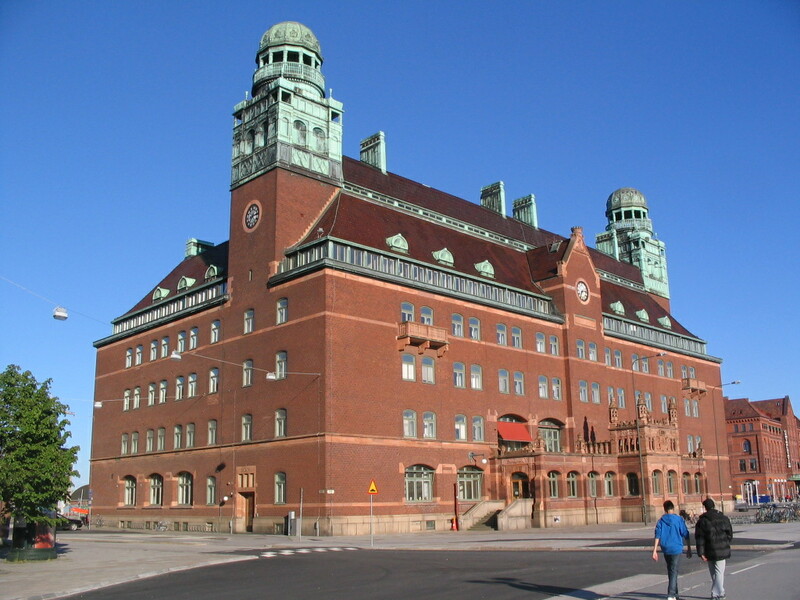 Next to the Centralstation is the monolithic and lovely old Central Post Office (Centralposthuset), designed by Ferdinand Boberg and completed in 1904. 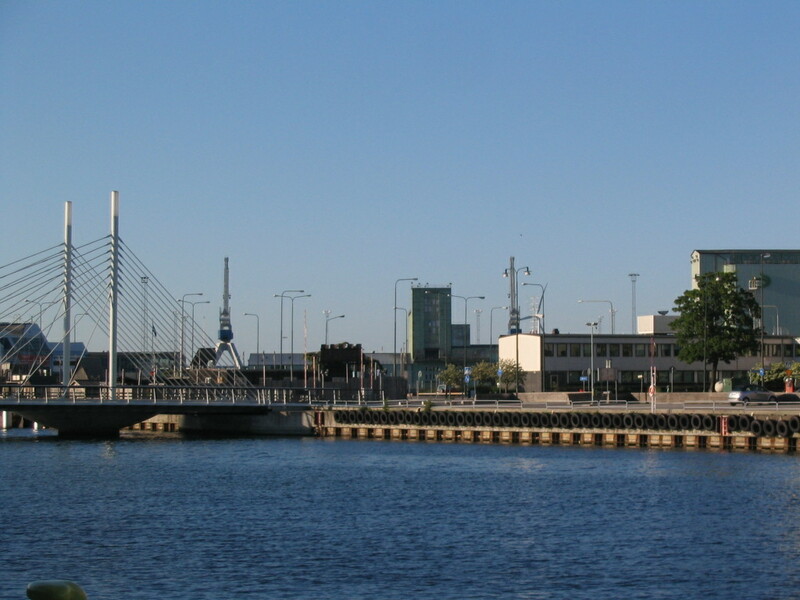 The Centralstation and Centralposthuset lie at the southeast corner of Inre Hamnen (Inner Harbor), the oldest part of Malmö's harbor. 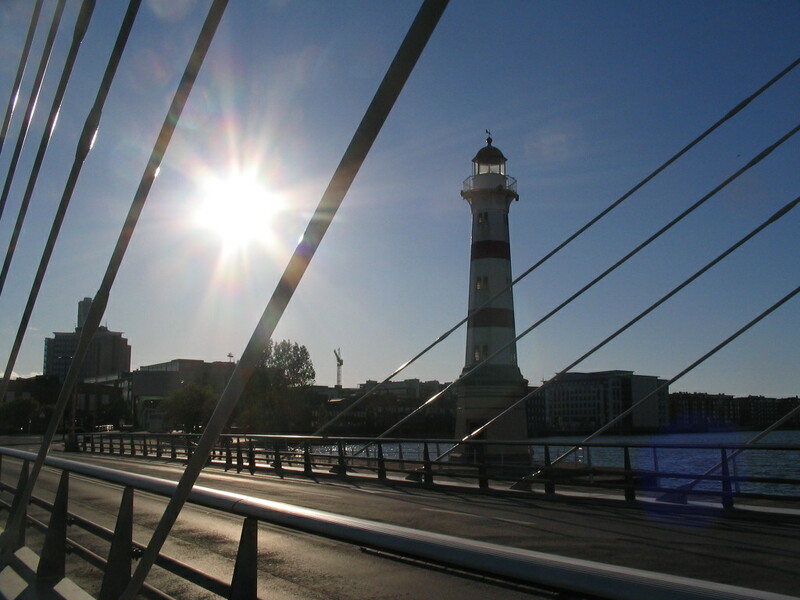 Spanning the mouth of Inre Hamnen, where it empties into Yttre Hamnen (Outer Harbor) to the north, is this attractive suspension bridge, Universitetsbron. I crossed over it to return to the city center on the other side. 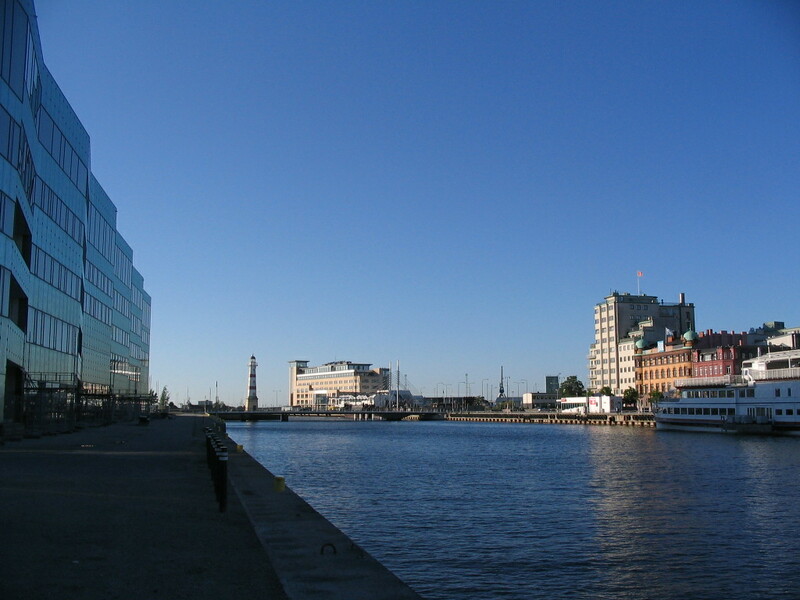 Inre Hamnen in its entirety, old facing off with new across the water. 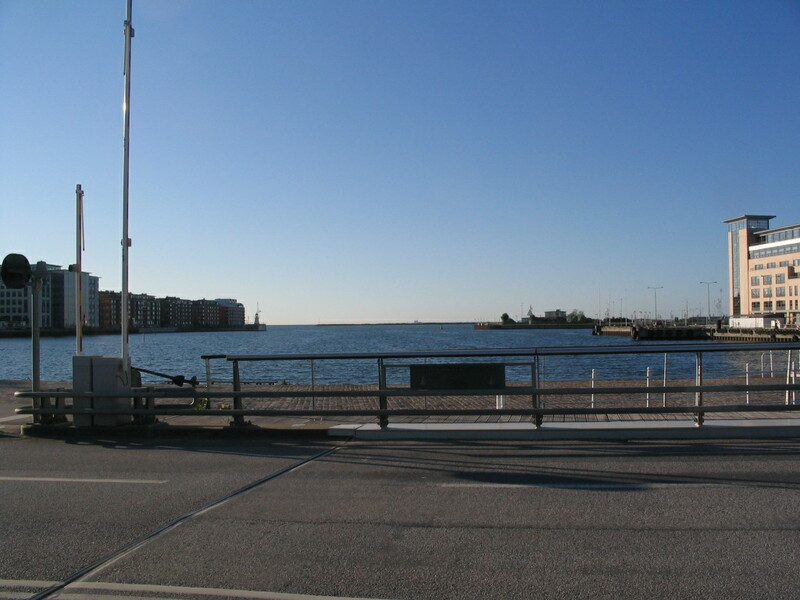 The view over Yttre Hamnen, out toward the Öresund. 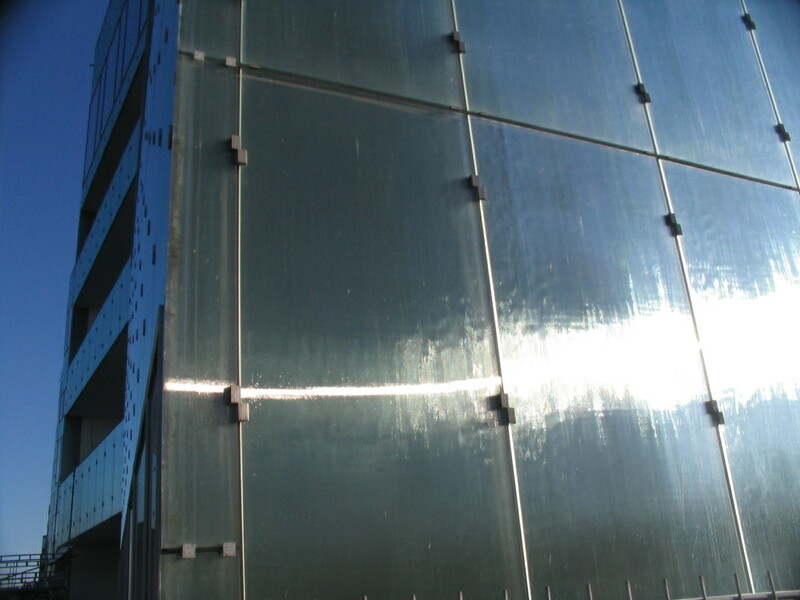 Along the western edge of Inre Hamnen, along Hjalmarekajen, are a bunch of large new buildings, including this one with interesting textured-glass skin that's called Orkanen ("Hurricane"), completed in 2005. 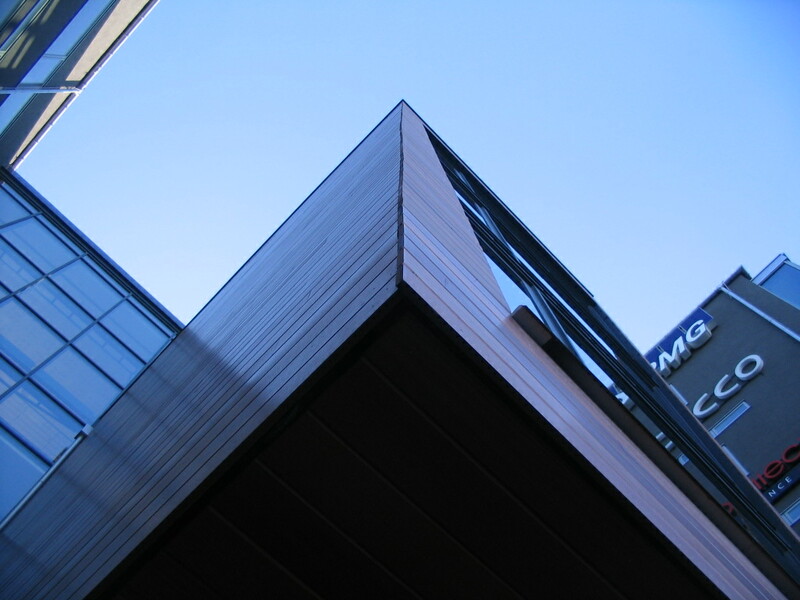 It's one of the main buildings of Malmö University (Malmö hogskola). 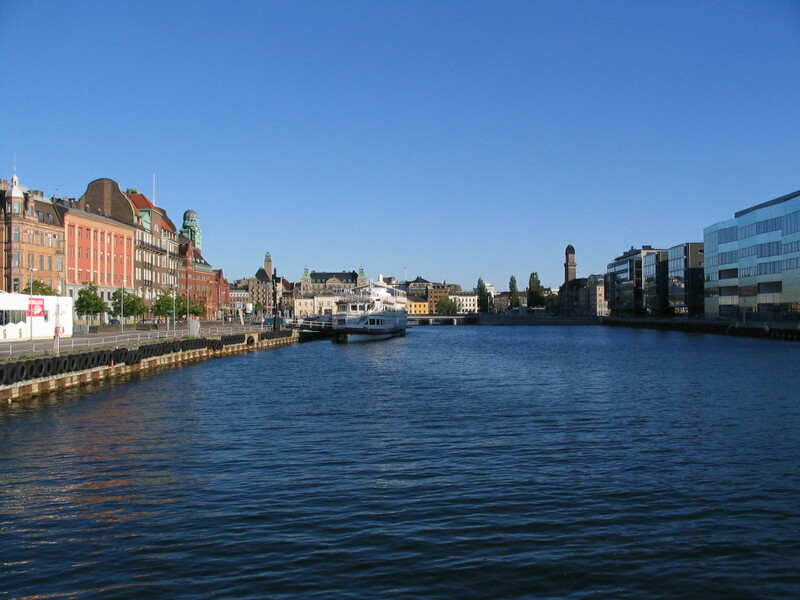 Looking back out toward Universitetsbron, a diversity of towers; note the wind turbine. Another northeastward look. Orkanen has a cool rippling façade. This appears to be a commercial office building. Nice sheer wood detailing. 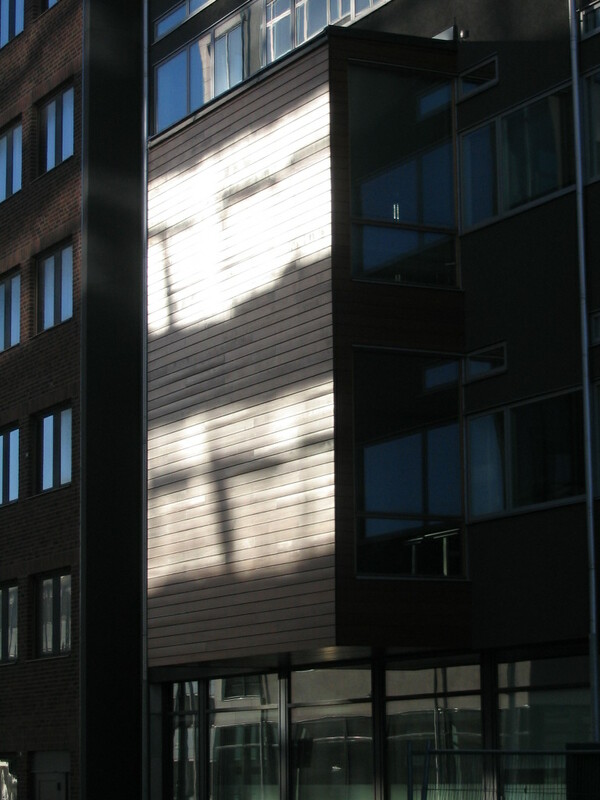 Secondhand sunlight on another wooden bay, on the southern (cityward) side of the same building, reflected off the neighboring building. 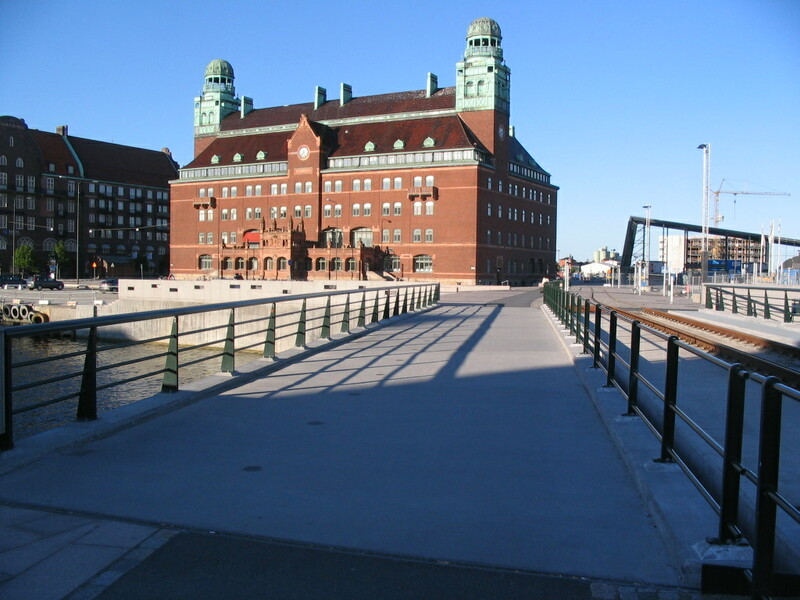 Back at the head of the harbor is this bridge, Suellsbron, leading back to Centralposthuset; note the rails to the side. 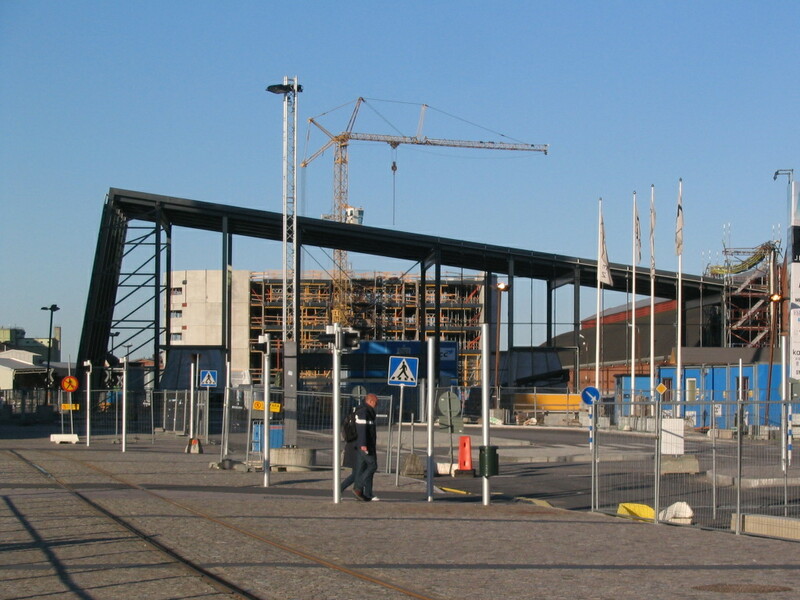 The skeleton of an addition to the Centralstation, under construction here, that now serves as the entrance to the tunnel to Copenhagen.